Matthews sends a statement of exchangement of bonds for the Central Bank for Agriculture Germany account. 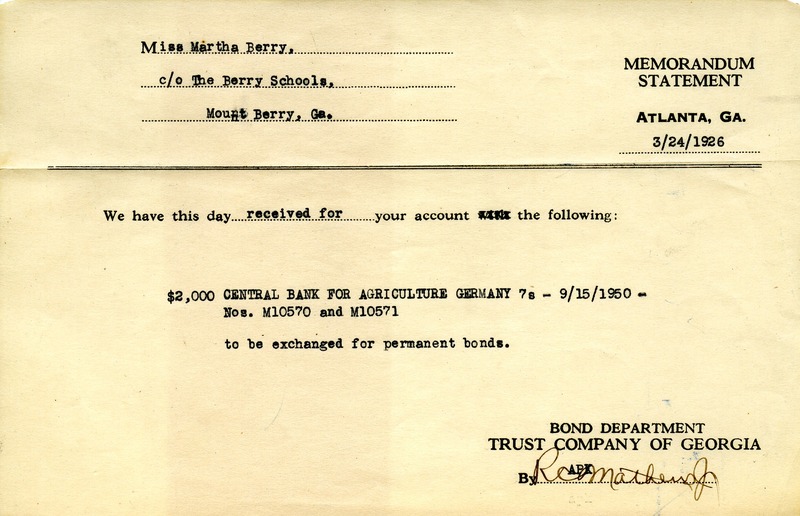 Mr. R. Matthews, “Letter to Martha Berry from R. Matthews.” Martha Berry Digital Archive. Eds. Schlitz, Stephanie A., Rachel Renaud, et al. Mount Berry: Berry College, 2011. accessed April 18, 2019, https://mbda.berry.edu/items/show/867.